Richmond lies on a meander of the River Thames, with a view protected by a specific Act of Parliament. 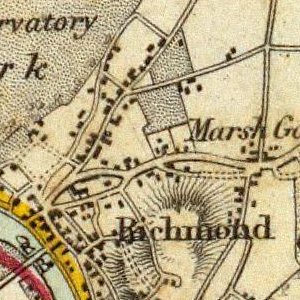 Richmond was founded following Henry VII's building of Richmond Palace in the 16th century, from which the town derives its name. (The Palace itself was named after Henry's earldom of Richmond, North Yorkshire.) During this era the town and palace were particularly associated with Elizabeth I, who spent her last days here. During the 18th century Richmond Bridge was completed and many Georgian terraces were built, particularly around Richmond Green and on Richmond Hill. These remain well preserved and many have listed building architectural or heritage status. The opening of the railway station in 1846 was a significant event in the absorption of the town into a rapidly expanding London. Richmond was formerly part of the ancient parish of Kingston upon Thames in the county of Surrey. 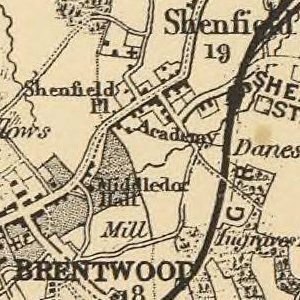 In 1890 the town became a municipal borough, which was later extended to include Kew, Ham, Petersham and part of Mortlake (North Sheen). 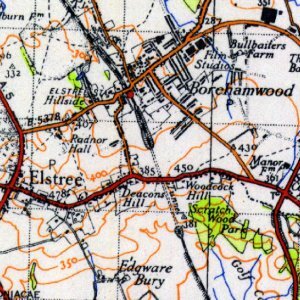 The municipal borough was abolished in 1965 when, as a result of local government reorganisation, Richmond was transferred from Surrey to Greater London. As Richmond continued to prosper and expand during the 19th century, much luxurious housing was built on the streets that line Richmond Hill, as well as shops in the town centre to serve the increasing population. In July 1892 the Corporation formed a joint-stock company, the Richmond (Surrey) Electric Light and Power Company, and this wired the town for electricity by around 1896. 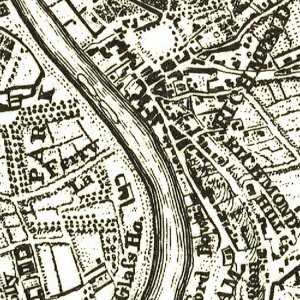 The Richmond and West End Railway (R&WER) opened the first station at Richmond on 27 July 1846, as the terminus of its line from Clapham Junction, on a site to the south of the present through platforms, which later became a goods yard and where a multi-storey car park now stands. The Windsor, Staines and South Western Railway (WS&SWR) extended the line westward, resiting the station to the west side of The Quadrant, on the extended tracks and slightly west of the present through platforms. Both the R&WER and WS&SWR were subsidiary companies of the London and South Western Railway (L&SWR). On 1 June 1877, the District Railway linked its then terminus at Hammersmith to the nearby L&SWR tracks east of the present Ravenscourt Park station. 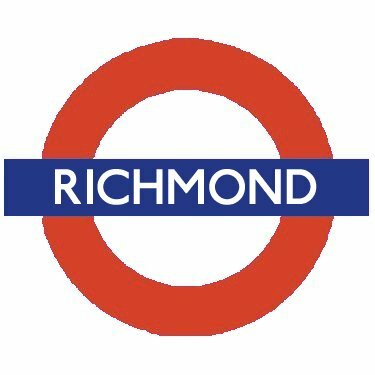 The District Railway began running trains over the L&SWR tracks to Richmond.